One of the most unique stand-up comics working today, Canadian born Jeremy Hotz has quickly become a proven international success. With another stellar performance at this year's Montreal Comedy Festival: Just For Laughs and his sold out Canadian theater tour "What A Miserable Tour This Is....", as well as performances all over the United States, Europe and Australia, Jeremy continues to grab audiences with his completely original and confused, yet very astute, observational comedy. In 1997, he performed at the Just For Laughs Comedy Festival in Montreal and received a standing ovation after his debut performance at the festival's prestigious television gala. He returned to the Just For Laughs Comedy Festival in 1999, 2002, 2003, 2005 (voted Best Performer by the "Globe and Mail"), and 2008 (Chosen as Best in Fest by the "Montreal Gazette"). Recognition came quick, as American studios and networks showed interest and Jeremy was offered his first of many major development deals. Another highlight for Jeremy was his debut appearance on The Late Show with David Letterman, followed by five appearances on The Tonight Show with Jay Leno. Jeremy has also appeared on Comedy Central with his own half hour special, and was on MTV's Half Hour Comedy Hour. This past summer, Jeremy filmed a one hour TV special "What A Miserable Show This Is..." for CTV. Hotz is a favorite in theaters and stand-up comedy clubs across Canada and the US, including the world famous Laugh Factory and Improv in both Las Vegas and Los Angeles. Jeremy has also headlined at HBO's prestigious comedy festival in Aspen, Colorado. Beyond his stand-up comic merits, Jeremy is also a talented actor who has appeared in the feature films My Favorite Martian (with Elizabeth Hurley) and Speed 2 (with Sandra Bullock and Jason Patric). He starred in the four-part mini-series Married Life on Comedy Central and was nominated for a Gemini Award for the CBC's "OH CANA-DUH". He was the recipient of a Gemini Award for "Best Performance in a Comedy Show or Series" for his work in the celebrated series "The Newsroom" on the CBC and PBS in America. Jeremy was also a staff writer and performer on the critically acclaimed "The Jon Stewart Show" (Paramount), and received a Gemini nomination for "Best Writing in Comedy or Variety Show or Series" for his half hour comedy special, "Whatever Happened to Jeremy Hotz?" Presently, Jeremy is working with Mad Jack Entertainment developing a reality show in which he is set to star. He is also creating a situation comedy with Dakota Productions as well as writing a feature length film slated to premiere at Cannes in 2011. His DVD "What a Miserable DVD This Is..." will be released internationally and available for purchase in early March. Noteable Entertainment & Events is a Vancouver based booking agency, party rental, entertainment services and event production company. 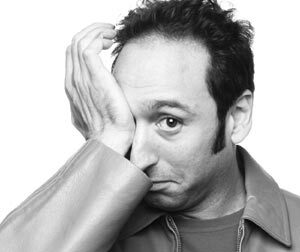 If you are interested in booking Jeremy Hotz please contact us.